Dying young? Better live fast — if you’re an ant. « Nothing in Biology Makes Sense! So maybe the injuries the researchers inflicted on the workers made them poorer judges of risk — less able to detect the risky conditions, or less able to respond when they did. But the end result is the same, from the perspective of a whole colony: workers who are closer to death are more expendable, and they act accordingly. 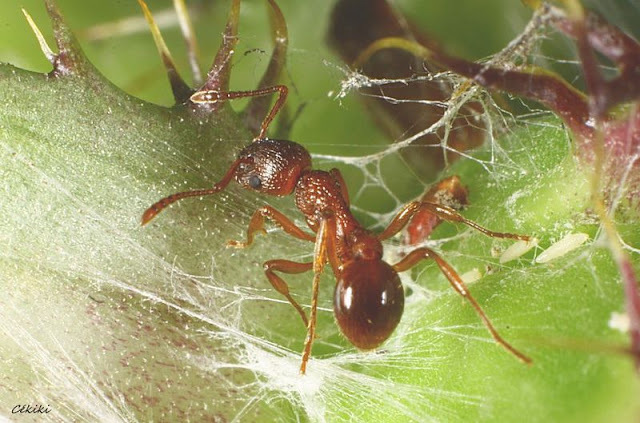 This entry was posted in eusociality and tagged altruism, ant, Myrmica scabrinodis.